Long time no (true) fitness post, I see! Looking at the ratio of fitness posts versus food posts is relatively dreadful, especially for the fact that this is called the “superfitbabe” blog. To be honest, I feel so guilty of not living up to my title, and before I present a few reasons why I’ve always been a little slacking in fitness-related posts, let me give the disclaimer that I DO workout. If there’s anything you should know, I exercise every single day, minus the four rest day-period I had to take during my wisdom teeth surgery recovery period and one off day during a college orientation trip. Exercising is one of my favorite ways to pass the time, improve my mood, maintain my health and even connect with other people if I’m in a group class or with a gym buddy. On the flipside, it might not seem like it because I don’t endorse my exercise routine nearly as much as I should be. After all, I preach exercise as one of the most crucial ways to aid your physique, inside and out. To begin with the first reason, exercise is a relatively personal hobby of mine. For the majority of the time I’ve spent on the blog, I’ve exercised alone. Since I rarely ever completed my workouts with another person, it never really occurred to me that sharing my workouts would be useful at all. The second factor regarding my lack of fitness posts is that it is a pretty common-known fact that diet is the first aspect that most people look at when trying to lose weight and improve their health. 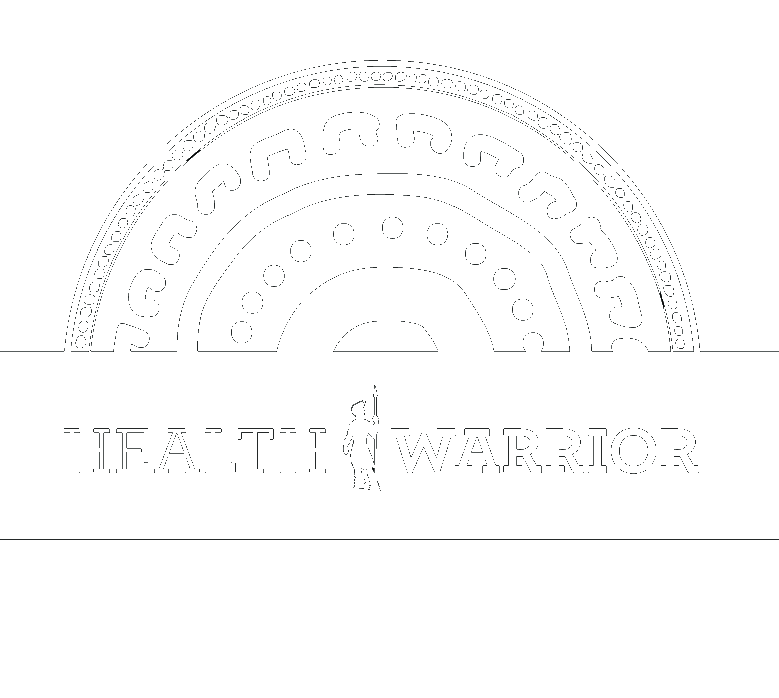 You can never out-exercise a bad diet if you want to beat certain conditions such as heart disease, cancer, diabetes, high blood pressure, hypoglycemia, hyperthyroidism, and a slew of others that can be alleviated simple through a healthier lifestyle. But obviously, you need to use both a whole foods diet and a good exercise routine to make the most of your progress. The last reason why I don’t post about working out frequently is because food is just a lot more interesting to my readers as well as myself. Personally, I find that I am more talented at concocting a recipe than a workout video or follow-along routine. It is pretty difficult for me to be original with fitness because there are only so many different routines that are not just creative, but also effective. You can invent all kinds of moves that may be yours to seal; however, they are probably still inferior to something like a squat or a burpee. Now that we’ve covered all of the complications, let’s get back to the actual purpose of this whole post! Ever since I’ve gotten my wisdom teeth removed, settled into an apartment and THEN moved to my college on top of that, my workout routine has changed pretty drastically. Pretty much what’s happened is that I’ve started embracing more equipment-free and hassle-free workouts that are relatively shorter yet intenser. During my wisdom teeth recovery process, it was a really interesting feeling to wake up feeling tired and work out with my jaw in pain every morning. Also, it was even weirder to not hop on the spin bike or use the jump rope twenty minutes within waking time. But I started to ease myself into resting as much as I could in order to fully heal my body from the surgery, explore little hobbies that I normally wouldn’t even look into (exhibit A: watching “Once Upon a Time”), and of course, nurture the blog and my YouTube channel as often as I could. When I moved into my apartment, I was happy to discover that it provided a 24-hour service gym. Upon visiting it after I healed, on the contrary, I found it to be a bit congested with a small variety of low-quality equipment. 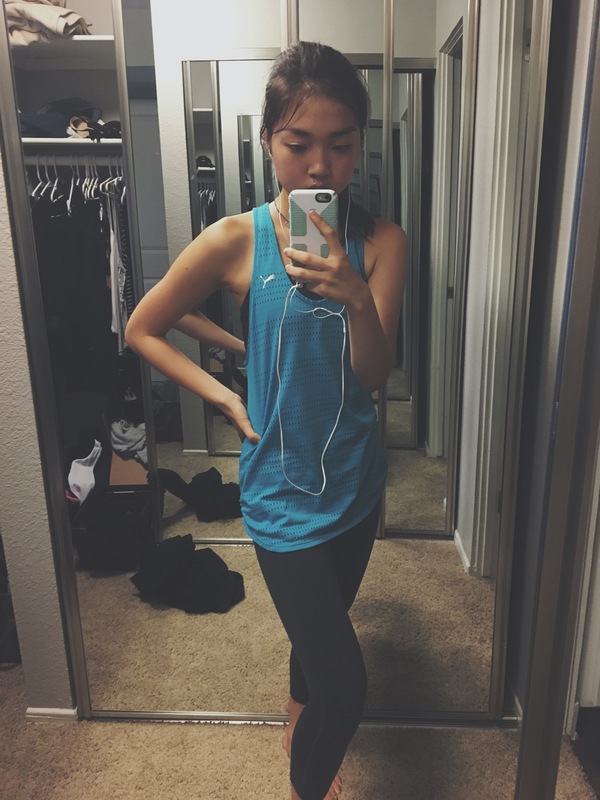 I began to embrace YouTube workouts videos again, specifically those from FitnessBlender, Christine Salus, Tone it Up, and Blogilates (specifically her older videos circa 2012-2014)! If I really wanted to complete an apartment room workout that needed equipment, I actually used peanut butter jars as dumbbells or the laundry detergent bottle as a kettlebell! Once college began, I started using regular 5-lb weights every other day, or 4-5 times a week on average. 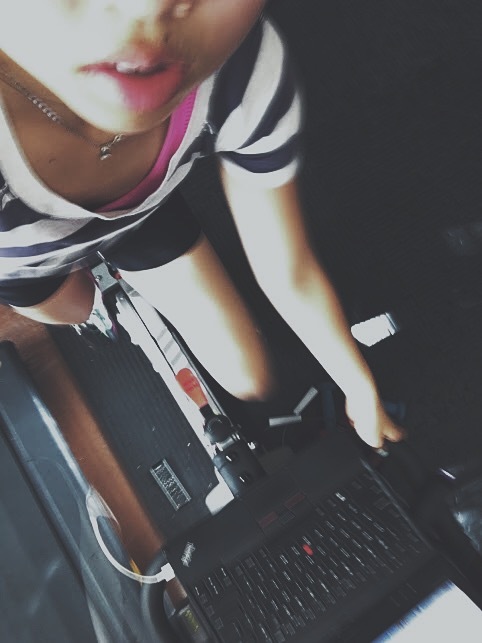 Last month, I pretty much used our spin bike every other day, usually with my laptop in front of me to project YouTube videos on the Roku player attached to the garage TV! I know, I was SUCH a multi-tasking champion. I was really sad to have completed my last ever spin bike routine the morning I got my wisdom teeth removed as well, but I am grateful of the experiences I’ve had with it. Lately I’ve been learning how to incorporate more cardio into my routine with my bodyweight, along with walking the stairs, packing for college (which would have started WAY after this post is published), and running around town during errands. I never thought I’d say this, but I don’t miss the bike as much as I thought I would! Come to think of it, the bike actually got too easy for me. It was much harder when I’d increase my speed and resistance, but I’ll admit that I lost the discipline to constantly challenge myself because I would always get stuck when the resistance was too hard for my legs to handle. When you get used to any exercise, your body eventually stops its constant “shock burn” mode, hence you eventually lose progress and hit a plateau that opens up an opportunity for you to take things to the next level. Luckily for me, the gym at my college is pretty much 24 Hour Fitness-status glam for me to continue jump roping and weight training as I used to. As for skipping, I also had to say sayonara to my dear jump rope during the move. I absolutely LOVED jump roping and could go for more than five minutes straight, ten minutes max. No matter what, it was always a challenge and I always broke a sweat afterwards. Skipping for me is a serious abdominal fat MELTER. However, knowing that jump roping is extremely hard on your ankle joints, I can say that not using the rope nearly as often is all for the better. Now, I usually skip around 3-4 times a week, no more than ten minutes total. I’ve embraced the dreaded burpees as a fair alternative. What I’ve taken away from changing my fitness routine in accordance with the crazy moves and tooth surgery are embracing change, rest time and balance. I wouldn’t say that I took things to an unhealthy extreme, but I definitely push myself a lot farther than the average fitness junkie, let alone the average person. Finding out that I couldn’t exercise for a whole week after my wisdom teeth removal was quite terrifying since I never rested for such a long duration of time. I was sure that I’d lose some strength from this, and inevitably, I did. Given that I find YouTube workouts pretty easy, I was dead by the time I completed my first YouTube exercise video in months. Despite all the craziness going on, I haven’t lost any progress in my personal journey. In fact, I’ve actually gotten stronger and fitter from these changes because I was in such a stagnant routine the past months! Basically, I gained a lot while working out like a minimalist in my apartment and then eventually adapting to my college life (shrinking my workout times by a little bit due to all the campus walking). With everything I’ve learned, I plan on continuing to post more about exercise and possibly publishing some of my favorite routines as well! Do let me know in the comments if that sounds good to you, and also let me know what your fitness routines are! Until then, below I’ve posted two different styles of workouts I love to follow–the first one being a YouTube combination and the second one being an original! Do you prefer solo or group workouts? What is your favorite section of the gym? I prefer solo workouts or workouts with my hubby. I’ve been learning to love planks and exercise in general. It hasn’t been something I’ve kept up with routinely. Thank you for the inspiration and reminder that eating well and regular exercise are so important to achieve good health! I NEED to be in a group. I have no motivation when I’m alone and need to force myself into situations sometimes to bust outta that comfort zone! Completely agree! Plus, it feels great to do something challenging + fun with friends – and to meet new friends! I actually want to start lifting at a gym, but I’m scared to do it alone. Ack. But I’m happy that you’re doing well in college-I’m in the process of applying now (stress!). I’m looking forward to cooking in college and getting all crafty, even though that sounds pretty weird to say when someone asks me why I’m so excited for college haha.